Maritimo Yachts, Australian’s Long Range Motoryachts, builds a variety of luxury motoryachts with 17 separate models across 6 different lines. Maritimo holds 9001 ISO accreditation. 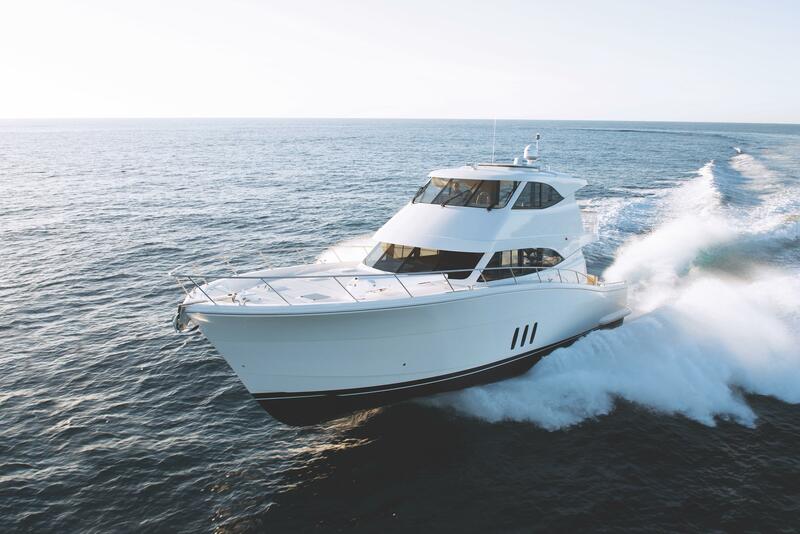 Founded by powerboat racer and boat builder, Billy Barry-Cotter, Maritimo motoryachts are designed with ample storage, spacious decks, and beautifully-crafted interiors. Worth Noting: Maritimo is the only Australian production boat builder to hold 9001 ISO accreditation. Maritimo C32 2010 - Current 32' 4" 10' 5"
Maritimo 32 Mustang 2010 - Current 35' 4" 13' 6" 6' 8"
Maritimo S43 2010 - Current 44' 2" 13' 5" 3' 3"
Maritimo C43 2010 - Current 44' 2" 13' 5" 3' 3"
Maritimo 43 Mustang 2010 - Current 45' 1" 16' 6" 5' 4"
Maritimo M45 2010 - Current 48' 8" 15' 4" 3' 6"
Maritimo 48 2006 - Current 51' 6" 16' 10" 4' 4"
Maritimo M50 2010 - Current 53' 0" 17' 6" 4' 3"
Maritimo S50 2010 - Current 53' 0" 17' 6" 6' 3"
Maritimo C50 2010 - Current 53' 2" 15' 11" 3' 3"
Maritimo 50 Mustang 2010 - Current 53' 7" 15' 11" 3' 3"
Maritimo 500 Convertible 2008 - Current 54' 2" 17' 1" 4' 3"
Maritimo 470 Convertible 2010 - Current 55' 1" 16' 4" 3' 9"
Maritimo M56 2010 - Current 60' 8" 17' 8" 4' 5"
Maritimo C53 2010 - Current 61' 8" 17' 6" 6' 3"
Maritimo M58 2010 - Current 61' 0" 17' 6" 4' 4"
Maritimo S58 2010 - Current 61' 4" 17' 1" 4' 5"
Maritimo C60 2010 - Current 67' 10" 17' 6" 6' 3"
Maritimo M65 2010 - Current 68' 0" 18' 9" 5' 0"
Maritimo M73 2010 - Current 81' 4" 22' 0" 5' 1"
In 2003, Bill Barry-Cotter established Maritimo Yachts, Australian’s Long Range Luxury Motoryachts, in Queensland, Australia. A powerboat racer and legendary boat builder with 40 years of experience, Bill’s inspiration for Maritimo came from the Australian’s aquatic lifestyle and unique coastlines. 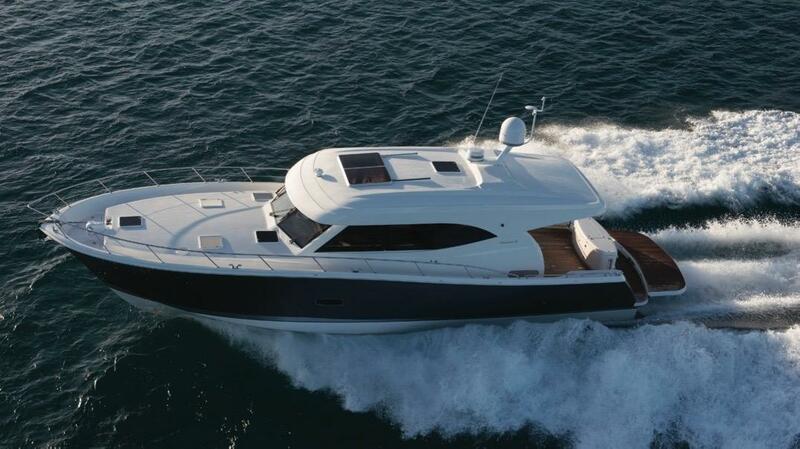 Maritimo Yachts are styled by David Stewart Design. 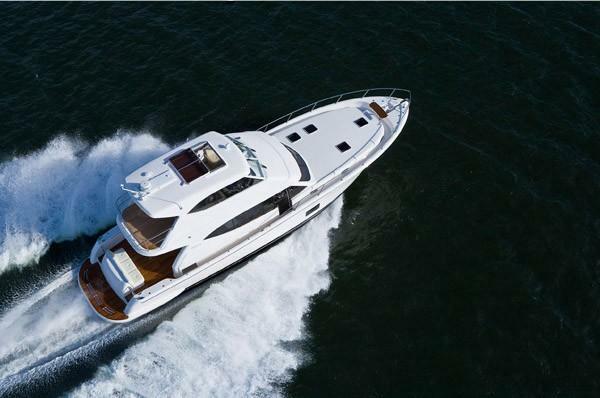 Each yacht is strategically optimized for space with ample storage, wide walk around decks, beautifully crafted internal staircases on all flybridge models, and readily accessible service compartments. 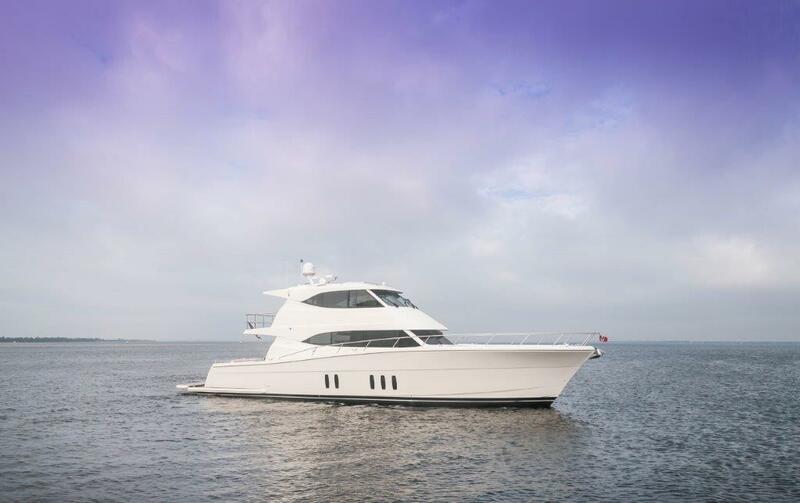 Maritimo’s fleet ranges from 32 to 81 feet with 17 separate models across six different lines: Cruising Motor Yachts, Sedan Cruisers, Offshore Convertibles, Sports Cabriolets and Mustangs, and Sport Yachts.